Restaurant open 7 days a week. 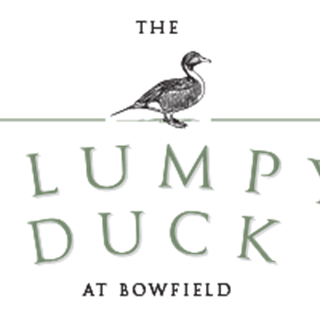 The Plumpy Duck at Bowfield Hotel is a new contemporary bar and restaurant. Our chefs have created a modern menu, capturing the best of what Scotland’s larder has to offer. With 100% Scottish reared beef from the lush hills of Scotland, seafood from Loch Fyne Fisheries and game sourced from Highland estates. Featured alongside great classic dishes and some firm family favourites. Afternoon Tea is served Monday to Friday, 12.00 - 16.00. Please book to avoid disappointment. A beautiful place in beautiful surroundings. Service was outstanding with very attentive and helpful staff. Afternoon tea was beautifully presented and very much value for money. We look forward to our return visit. We were extremely disappointed. First of all it was hardly lit and so dark we had great difficulty reading the menu. One of our party had chicken which turned out to be more a starter than a main course. The other meals were just ok. The cappuccinos were lukewarm but by that time we did not feel like complaining. It was a Saturday evening and the first time we had visited, there was only one other table of diners at this time, so we feared the worst - why was it so quiet on a Saturday? However, the background music was good - not too loud and the service and food were excellent! Would go again! I have stayed at this hotel before and I couldn’t fault the food but last night we stayed again and had the roast beef for dinner and it was so dry and tough. The veg and Yorkshire pudding was also cold. The service was really slow. Firstly we had to actually ask for menus since no one thought to give us any then they took forever to take our order and there was such a long wait for starters and in between meals (We had 3 kids with us). It hasn’t put me off staying here again cause the hotel is lovely, I’m hoping it was just a one off! Excellent friendly service. Staff are very attentive. Daniel and Megan’s service was superb. Very nice manner, pleasant to talk to regarding the menu and a credit to the company. Well done to your recruitment and training team. I was booked in for Mother’s Day lunch, the number of waiting staff on hand was adequate however they stood about not knowing what to do as if they didn’t know their roles and there was a que of people waiting to get seen to. Secondly My starter and desert came served in a poor state that should have never left the pass, when I asked the waiting staff to change it they weren’t sure they could and no one came back to me with an answer or a dish until I physically got up from my table to go and enquire again despite their being as I said plenty of staff on duty. So unfortunately the quality of food and service was poor on Mother’s Day and I dined at a time it wasn’t that busy. I was disappointed especially being a returning customer. Not sure I will dine again am afraid. Food could have been a bit warmer and the restaurant was pretty empty and we still waited quite a while for our food,  no salt on any of the tables  had to ask staff for some staff very helpful and polite . Food was lovely no complaints with regards to the standard and quality of food however service was poor. There were three tables including myself dining at the same time and all staff on shift where standing within the bar area talking amoungst themselves. My dinner arrived 10 mins before my husbands. We then waited a considerable amount of time for a staff member to appear for us to request the bill. The staff member never returned to allow us to pay the bill so my husband had to make his way to the bar to pay. If the restaurant was full and staff where helping other customers I would not mind waiting for service however with an almost empty restaurant I would have expected better service. Thank you for your wonderful feedback - can't wait for you to come back soon. Thank you for your great feedback, we are looking forward to seeing you soon. Thank you for your great feedback and we are happy to hear you had a wonderful time with us. Looking forward to seeing you again soon. It was a lovely experience I enjoyed the Afternoon Tea and Spa, I think I would rather go for a lunch and Spa. Although I do like cakes I would like to cut them down for my expanding waistline sake, and I will look out for future deals at Bowfield for lunch and spa. Thank you for the nice time I and my friend had at Bowfield. Thank you for your lovely feedback and we are happy to hear you enjoyed the afternoon tea. We have other spa packages which includes a spa lunch, a treatment and use of facilities, just call us on 01505 705225 and ask for the SPA. Thank you. Thank you for your feedback. We apologise you did not enjoy your dining experience. If you decide to return to visit, please email us on [email protected] and we will make your booking for you and we will make sure you are well looked after. The Pumpy Duck has a lovely atmosphere. I didn't realise that we would only be able to eat from a lunch menu which was disappointing. Also a number of wines were not available as the hotel had run out of stock. Hopefully when we return this won't happen again. Thank you for your feedback and we apologise for not having the wine you wanted in stock. Our lunch menu is from 12pm to 5pm and a la carte is from 5pm - 9pm. If there is something you would like to have which is not on our lunch menu then you can call us and pre-order this so we can arrange this for you. We look forward to seeing you again soon. The food is very average. We ordered ‘crusty bread’ which was a sliced white and wholemeal loaf of Hovis, and cost £7! Main took a long time to come, and was average at best. 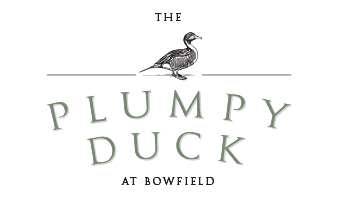 as members my husband and I are frequent visitors to the Plumpy  Duck, we`ve enjoyed light snacks, afternoon tea, lunch and dinner in the past and because of this, we didn't hesitate to make a large booking for a family birthday. The food, staff and service didn't let us down, everyone had a lovely meal and enjoyed the day. Thank you for your feedback and we look forward to seeing you again soon. Thank you for your great feedback and we look forward to seeing you again soon. Had a lovely meal spoiled somewhat by being asked to give up our table about two minutes after finishing our sweets. At no time were we told the table would only be available for an hour!! Very poor finish to our night. Thank you for your feedback. We will email you directly regarding your comments. The Plumpy Duck Restaurant manager, Cindy, ensured that our visit was outstanding. Chef provided an excellent menu designed for the group, Bar staff and restaurant staff were friendly courteous and attentive . Than you for keeping your promise of a first class evening. Thank you for your great feedback and we are happy to hear "The February Club" enjoyed their evening with us. We look forward to seeing you again soon. Lovely lunch. Food was amazing and definitely will be back for more! Burger was massive. Nice relaxing atmosphere, love the decor. Service could have been 5 star but after leaving more than a 10% tip without as much as a thank you or have a nice day when leaving - was a little disappointing. Thank you for your feedback and we look forward to seeing you soon. Lovely fresh sandwiches, scones and other delicious treats and a nice atmosphere.